What if you could seriously bond with your pet while saving money at the same time? For dog lovers, it sounds like a dream come true. And you can make this dream a reality by mastering some essential dog grooming tips. Keep reading to discover more about grooming and what the top tips are that you cannot go without! If you regularly take your dog to the groomer, you might be wondering why you would want to groom him yourself. Why do you need pet grooming tips? There are several key benefits to grooming your own dogs. For one thing, it saves a lot of money, especially if you regularly trim your pet’s hair. Second, it’s a pretty close bonding experience. This gives you a chance to understand and love your dog in a way you never have before. Finally, grooming your own dog provides immense peace of mind. Instead of worrying about a random person taking care of your pet, you’ll know that they are being groomed by the one who loves and cares for them the most. Now that you know why you should master grooming dogs, keep reading for the top seven grooming tips in the business! A major part of our pet grooming tips comes down to very careful nail clipping. Unfortunately, this is the part that most dogs hate more than anything else! Try to set a routine for clipping your dog’s nails about every two weeks. 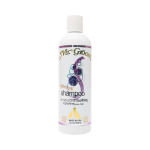 This is good for all dogs but particularly good for younger ones because it helps establish a pattern of grooming behavior. If your dog is older or simply hates nail clippings, you can invest in a nail grinder. This is less stressful for many dogs. Finally, be tactical in your timing. Only initiate nail care when your dog is already well-fed and relaxed. Brushing is the most consistent part of the grooming routine. You will be doing this much more often than clipping the dog’s nails or bathing. Because of this importance, you need to get the brush that is best for your dog. Pro Tip: We recommend starting with a Groomer’s Stone brush. Its porous design allows you to gently remove hair, dirt, burrs, mud, dander and bring out the oils on the coat. The stone brush is hypoallergenic which is great for dogs with sensitive skin because it won’t irritate the skin as many bristle tips that are found on other brush types. If your dog has a smoother and shorter cut, you should use a rubber brush and then a bristle brush. If your dog has a coat that is short and dense, use a slicker brush and then a bristle brush. The slicker/bristle combo also works well if your dog has a long coat. Part of what makes grooming stressful for dogs is that it feels like a big change in routine. Much like some humans, they get upset when they were expecting one thing, and then things are unexpectedly different. This is why you should lead up to their first bath with a couple of weeks of brushing. This also gives you time to establish a routine of dog grooming. This is very important: make sure you stick to this routine each time! Eventually, you can incorporate the bath into the routine. It doesn’t mean your dog will suddenly love the experience, but they will no longer be surprised when it happens. One of the major reasons to groom your dogs is to remove nasty smells they may have acquired. To know the right grooming technique, find the source of the smell. For instance, some dogs smell dirty simply because they were rolling in the dirt. Which looks like so much fun! That smell can be removed with regular brushing and bathing in a tearless, hypoallergenic dog shampoo that treats their coats best. 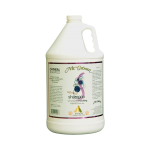 It is important to use natural products that add protein to give your dog a clean smelling and shining coat. Other dogs may have a smell because of a bacterial skin infection. For them, you should use an antibacterial dog shampoo. Remember to still choose a product that is natural but also medicating to help relieve itchy, irritated skin caused by allergies, steroid treatments and flea dermatitis. Another great new environmentally friendly product on the market is the Magic Spray which is specifically designed as a bactericide, fungicide, anti-viral and anti parasitic compound. Finally, the smell may come from being sprayed by a skunk. In that case, you’ll need to use tomato juice to remove the smell! Obviously, bathing is a major part of any pet grooming regimen. There are several tips you can follow to make this experience more relaxing for you and your dog. You’ll want to use lukewarm water instead of hot water due to your dog’s sensitive skin. And you’ll want to avoid spraying in their eyes, ears, or nose. Don’t forget to invest in a bath mat, so you don’t end up slipping and falling while bathing your fuzzy friend. And consider buying a special bath toy to keep them distracted during the bath. Finally, try to use a blow-dryer on a low heat setting to dry them off. And follow it all up with a treat to calm them back down! Cutting your dog’s fur is important, especially as it gets warmer. Having the right tools and techniques for this job is important. First, you’ll want to invest in professional clippers or shears. If you have the room and the money, you may also want to buy a grooming table to help your the dog still during the grooming process. Make sure their hair is dry instead of wet when you begin cutting. Also, use only the tips of the shears for cutting areas like ears, tails, and paws. This helps protect the dog from injury if they suddenly move. This last one is the trickiest because it varies from dog to dog; however, there are great tools to reduce your dog’s anxiety about grooming. For instance, if your dog really likes having her chin brushed, make sure you prominently do that in each session. The grooming tools you choose will also play a role in your dog’s grooming experience. Yet again, we find that the best tool to ease anxiety is the groomer’s stone (see number 2). The stone is able to reduce anxiety as it massages the dog and creates a calm state for your pet. Some pets might be so relaxed that they might just fall asleep! You may even have more luck grooming at different times of the day or night when your dog is more relaxed. Doing it when they have high energy makes it likelier they will react negatively. These dog grooming tips are easy as long as you have the right tools. You want to groom your dog, but you may not have everything you need. That’s where we come in! Mr. Groom has been providing the very best in grooming products since 1960. To see how we can help you become a master groomer, come check out our pet grooming products today! Apologies on our delay in replying to this. We’re getting you the answer and will be back with you soon.